The line of luxurious performance machines by Lexus, elite upshot brand from Toyota of Japan, shows more high-tech equipment available for the cushy sedans, sport-tuned coupes and rugged yet refined sport-utility wagons. For 2004, Lexus produces a redesigned replacement for the popular Lexus RX 300 crossover SUV. The new version is larger and faster than the predecessor and carries a bigger engine plus a new electronic automatic transmission and sophisticated dynamic vehicle control systems. Even the name changes - to RX 330 - in recognition of the larger engine. Displacing 3.3 liters (verses 3.0 liters for the RX 330), the aluminum V6 delivers 230 hp, a ten-point improvement. The 3.3-liter V6 also shows up in 2004 issues of the mid-size Lexus sedan, now dubbed ES 330. As the only Lexus sedan oriented to front-wheel-drive (FWD) format, ES 330 also earns an upgraded five-speed electronic automatic transmission with grade logic. Flagship LS 430 sedan, with full-size measurements and the lavish appointments of an ultimate luxury car, shows a new face with restyled fenders, hood, headlamps and grille, plus new light-emitting diode (LED) taillamps. The optional navigation system adds Bluetooth wireless connections and a bumper camera that displays images of the vehicle's reverse-moving view on a dashboard video screen. The rearview camera is also an option this year with a navigation system installed on all of the Lexus sport-utility wagons, which include a deluxe full-size LX 470 and mid-size GX 470 variation plus the redesigned RX 330. New wheel and tire packages apply to the compact-class IS 300 sports sedan and a SportCross five-door wagon. Further, the mid-size GS series of sports coupes returns in two trims and the stunning Lexus drop-top SC 430 sports car gets revised recline logic added to the power seat function. Armed with a stronger engine and sophisticated electronic controls, the Lexus FWD crossover sport-utility rides on a revamped platform that stretches the wheelbase more than three inches longer than the original and expands the overall structure. The larger package creates more space in the five-seat passenger compartment and more room for cargo. It looks bigger but also stronger. Up front, the aggressive face features a protruding body-colored bumper underlining the raked trapezoid grille dipped in chrome and flanked by corner headlamp clusters glimmering through multiple lenses. Note those front lights: With optional xenon high intensity discharge (HID) headlamps, Lexus adds a new adaptive front lighting system (AFS) where a pair of unique swivel lamps - each keyed to the angle of the steering wheel - rotates up to five degrees during turning maneuvers to keep a light shining on the vehicle's forward path. Ride quality for the new SUV feels incredibly smooth and refined, thanks to a revamped suspension system. An optional air suspension system comes with driver-selectable chassis heights. The highest mode elevates the vehicle by 1.2 inches for crawling over rocky trails at speeds below 30 mph. A cruising mode drops the chassis by a third of an inch when moving above 62 mph, the low mode casts it further down to hug the ground during hard-wrought handling maneuvers, but a mode labeled Access powers the package down 1.2 inches to assist when loading people and cargo. Many safety systems are in place, including side curtain-style air bags set above front and rear side windows plus frontal air bags for front buckets and large new seat-mounted side air bags to cover the rider's torso, abdomen and pelvis, even an air bag to shield the driver's knees. The cabin piles on luxurious elements including electro-luminescent instruments in a triple-pod display, and power seats, mirrors and windows. Options in package bring leather upholstery and wood trim in walnut or bird's-eye maple, the navigation system with rear video camera, a moonroof, performance gear with the air suspension and 18-inch wheels and tires, and a dazzling Mark Levinson audio system with six-disc CD changer in the dash. The full-size sport-utility vehicle from Lexus is a formidable machine equipped with tall stance, torque-heavy engine and a four-wheel-drive (4WD) system capable of rolling over daunting off-road obstacles. It also proves on pavement it can be a smooth rider rigged with vast passenger compartment that accommodates eight riders on three tiers of seats. And those plush appointments: Soft leather and rich walnut wood trimmings, power-everything, and seven audio speakers to envelop you in soothing stereo sounds. It carries the luxurious fittings of an elite sedan as well as the muscular assets of a heavy-duty off-road warrior. The 4WD system has a center differential with limited-slip capacity to distribute engine torque to front or rear wheels. Add a locking mechanism to the center differential plus limited-slip rear differential and you get maximum potential for traction. A big V8 delivers 235 hp and links to a five-speed electronic automatic transmission. The optional navigation system adds the Bluetooth wireless connection plus bumper camera for reverse video views. A mid-size Lexus sport-utility wagon seems like a variation of the LX 470 only in reduced scale. Like the larger wagon, it packs the big Lexus V8 for 235 hp and connects to the Lexus electronically-controlled five-speed automatic with uphill and downhill shift logic. There are three tiers of seats in the spacious passenger compartment, with trimmings in leather and fine hardwoods. The 4WD system, permanently engaged, has a center differential with limited-slip. More Lexus innovations aboard extend to active traction control (ATC), adaptable variable suspension (AVS) and downhill assist control (DAC). In addition, options include an exclusive Mark Levinson premium audio system and a nighttime Lexus vision enhancement system called Night View. By the middle of the model-year more options will be available, such as roll-sensing curtain-style side air bags, a tire pressure monitor, the rearview bumper camera with Lexus Navigation and a new variable suspension labeled Kinetic Dynamic Suspension System (KDSS). The full-size Lexus flagship -- packed with high-tech mechanical hardware, elaborate safety gear and sumptuous appointments in leather and wood -- amounts to a large sedan of supreme quality functioning conventionally as a cushy limousine-like hauler yet also capable of acting up with sporty tricks like an assertive touring car. It's a dreamboat design, stretched to provide generous space for riders and laced with luxury features, then armed with advanced mechanical systems linked to smart computer processors that can out-think and out-perform other vehicles. It draws strength from the 4.3-liter aluminum V8 linked to a new six-speed automatic transmission with sequential shift feature. An optional Ultra Luxury Package adds extra equipment like a laser-guided cruise control system, sonar-based parking guide and a navigation system with DVD-based database and dashboard touch screen. Further luxury touches with the package include an internal blower in front seats to circulate heated or cooled air, and a heat element for the rear bench with back massager and seatback power adjustments. A power-operated sunscreen stands at the rear window, with manual screens in rear doors. Issues for 2004 display a new front-end featuring restyled fenders and face. Added are the follow-me AFS headlamps plus LED brake lights, a tire pressure monitor, knee air bags for driver and front passenger, and upgraded Mark Levinson stereo. Five more colors add fresh tints to the body like Moonlight Pearl and Flint Mica. The elegant mid-size sedan from Lexus returns for 2004 with a powertrain upgrade that changes the car's name. Call it the ES 330 now, thanks to the Lexus 3.3-liter aluminum V6 that in this application produces 225 hp as paired with a new five-speed electronic automatic transmission. Many safety features go into the ES 330, including side curtain air bags plus frontal and seat-mounted side air bags. It also incorporates front seats designed to lessen whiplash injury and anti-lock brakes with extra brake force automatically added during panic stops. A vehicle skid control system (VSC) is also available, as is an adaptive suspension. The sleek aerodynamic shape of the ES features a sculpted hood defined by bold triangular combination headlamp clusters and a severely raked windshield offset by flat flanks and gracefully curved windows. It looks aggressive up front but still streamlined and stylish - and downright expensive. Climb inside to discover a luxurious compartment trimmed in fine leathers and California walnut wood. The five-place layout carries power-controlled equipment and seems like a smaller version of the luxurious cabin in the LS 430 flagship. With oversized wheels pegged at the corners and a contoured body marked by flat side panels and stubby prow and tail that leave scant space for overhangs, the IS 300 compact-class sports sedan looks like a high-strung rally car and acts like a road-hugging German touring sedan. The straight-six engine, producing 215 hp, whines a high-revving tune played through five speeds on the automatic transmission or optional manual five-speed. With the automatic there are toggles on the steering wheel that enable an aggressive driver to shift up and down sans clutch with only a flick of the thumb and without removing hands from the wheel. A five-door hatchback wagon edition goes by the badge of SportCross. It carries the same equipment as the sedan with automatic transmission, yet has the rear liftgate and cargo bay plus a rear seatback that splits and folds to make more room for sports gear like a mountain bike. All versions reveal bold contemporary styling for the cockpit in a theme of new bright silver and black interior accents with drilled aluminum pedals and stainless steel scuff plates studded with rubber on doorsills. New exterior colors for 2004 include Bluestone Metallic and Indigo Ink Pearl. 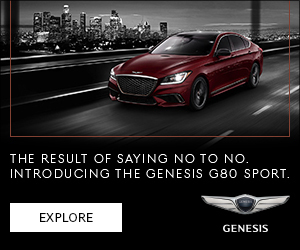 The GS sport sedans contain high-output engines and high-tech handling gear for world-class performance and luxury under the guise of stunning exterior designs. The package, with wheels pushed outward to extremities and radical sheetmetal panels of curves and flat faces worked around a form with blunt nose and tail, presents an aggressive face with unusual oval headlamp clusters flanking a classy front grille. Concealed behind the slick skin, sophisticated engines for the pair of GS models shape the sporty personalities. The ultimate edition - GS 400 - packs the twin-cam Lexus 4.3-liter V8 good for 300 hp. A second version - GS 300 - uses a dual-cam six-cylinder plant with in-line layout and displacement of 3.0 liters to muster 220 hp. Both cars employ the Lexus electronically-controlled automatic transmission, which provides five forward gears and intelligent shift logic. The two-seat sports car from Lexus can convert from a hardtop coupe to a daring convertible. With the top raised, it carries an arching profile that looks energetic up front but retro in the rear with a roly-poly rump. With the hardtop folded into the trunk, it seems fluid and fast like a racy roadster. The squatty stance sets up a flat-footed posture in the manner of a classic sports car with all of the right components aboard: A stiff chassis with elongated wheelbase, short overhangs in front and back, good weight distribution with the engine up front and all torque applied to the back wheels, independent suspension at all posts plus fast rack and pinion steering. And there's a big engine aboard. The aluminum V8 displaces 4.3 liters and produces 300 hp. Lexus lines it with gear for safety and performance, as well as elaborate electronic displays and lavish appointments. The standard audio package comes from Mark Levinson. A 240-watt amplifier combines with nine speakers, a cassette deck and six-disc CD changer mounted in the dash.